Recommended for women who have a heavier flow OR who are over age 30 OR have given birth vaginally or via cesarean section. The regular size DaisyCup is the perfect cup for most users. The Regular Size DaisyCup is preferred by those with normal to heavy flow, or more experienced cup users. It’s also perfect for women who have given birth vaginally or via cesarean section and also for women over 30 years of age. Very soft and comfortable. I tried other other cups from other companies but none fit my body right. Daisycup is easy to insert and remove, and I can’t really feel it while it’s in. I would definitely recommend! I’ve been using the Daisy Cup for around 4 months. It never leaks. It’s easy to get in and out too. I have a very heavy flow so I bought the regular size and I can use it for about 8 hours or so before I need to empty it. So the bottom line is the cup saves me a lot of money and make my period a lot easier. I give it 5 stars. I’ve tried a bunch of different cups. Some work better than others but Daisy is definitely my favorite. The material is very soft and you can barely feel it once it’s in. Its obvious the woman who designed daisycup spent a lot of time perfecting it. If you are looking for a cup, daisycup is for sure the one you should get. It’s the best cup I’ve ever used! The DaisyCup has made my life so much easier. I’m very busy with college and soccer so my period has always been an inconvenience. With DaisyCup I feel like I don’t have to worry about my period and I can just go all day without changing out tampons. It’s been truly life changing. Thank you, Daisy! You changed my life! This is my third cup. The first two I tried were good, but this one was definitely the softest and the most comfortable. I know everyone has their own preference, but I like Daisy the best. 🙂 I am now inserting and removing it in the shower and that makes it so easy! I just wanted to say I really love my DaisyCup. 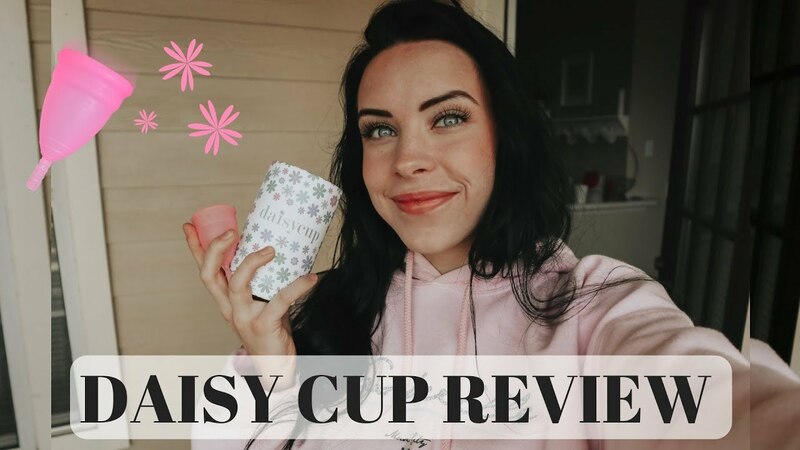 I have several brands of menstrual cups, but DaisyCup is the best for me. It’s perfectly ideal for my low cervix. Thanks, DaisyCup! My, oh my! What can I say? I’ve had the most comfortable experience with this particular menstrual cup compared to the ones that I’ve used before. Daisy Cup is my number choice now. I am aiming for a different kind of lifestyle starting this year, and that is to have zero waste as much as possible. This is perfect for me since I don’t have to dump pads and tampons in the trash constantly. I love that its reusable and it saves me a lot of money!